If you like roasted cauliflower, you’ll probably like this Tahini-slathered version of it. 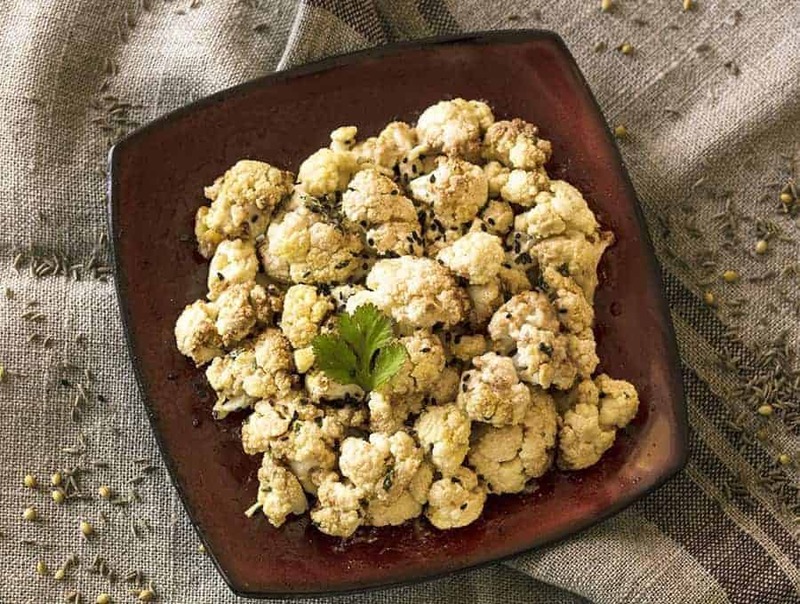 You can also use this as a base recipe to flavor the cauliflower with shawarma seasoning, kofta kabab seasoning, or garam masala to add a few different flavors to your cauliflower and within just a few minutes, voila! Air Fried Cauliflower with Tahini! Whether you need a vegetable side dish, a healthy snack, or just a way to use up the cauliflower you have in your fridge, this Air Fried Cauliflower is the perfect recipe. Cauliflower absorbs whatever seasoning is around it, so this is a great way to incorporate your favorite seasoning blends into a side dish to compliment your entree. Cauliflower is also a great low-carb food that’s used a lot for Keto, so I seem to always have it on hand. Everything tastes better slathered in Tahini, so you’re going to love this Air Fried Cauliflower as much as I did, I’m sure. Look at this as a great base recipe that you can use to make all kinds of other air fried cauliflower flavors. One thing that really helps when air frying cauliflower, I have found, is to not skimp on the oil. I know, I know, we all bought the air fryer so as to not have to fry–and you won’t by any means be using enough oil to deep fry this sucker. But dry vegetables really do benefit from a good spraying of oil. Need some more vegetable side dishes? 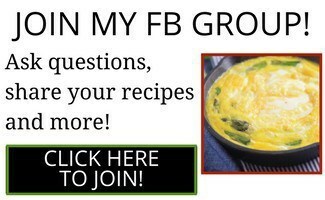 I have a ton of great recipes! Check them out HERE! If you like roasted cauliflower, you'll probably like this Tahini-slathered version of it. 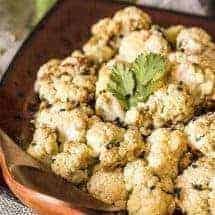 You can also use this as a base recipe to flavor the cauliflower with shawarma seasoning, kofta kabab seasoning, or garam masala to add a few different flavors to your cauliflower and within just a few minutes, voila! Air Fried Cauliflower with Tahini! Chop the cauliflower into evenly-sized florets and put them in a large bowl. Cut each garlic clove into 3 pieces and smash them down with the side of your knife. Don't be shy about smashing the garlic. You want to expose as much of the garlicky surface area as possible so that it roasts well. Add this to the cauliflower. Pour over the oil and add salt and the cumin coriander blend. Mix well until the cauliflower is well-coated with the oil and the spices. Turn your airfryer to 400F for 20 minutes and add the cauliflower, flipping once at the halfway mark. While the cauliflower cooks, make the sauce. In a small bowl, add the Tahini, hot water, lemon juice, minced garlic, and salt. As soon as you do this, you will see a curdled murky mess and you'll wonder if you messed up. You haven't messed up. Just stir and keep stirring until you get a thick, creamy, smooth mix with the tahini and water. One the cauliflower is cooked, place it into a large serving bowl. Pour the tahini sauce over the cauliflower and mix well, and then serve. you like roasted cauliflower, you’ll probably like thi slathered version of it. You can also use this as a base recipe to flavor the cauliflower with .Thank you so much ………….. I LOVE keto air fried cauliflowere and will definitely have this in my file of appetizers. Thank you. Ach this looks amazing. Tahini is under used in the U.S. I drizzle it on everything. 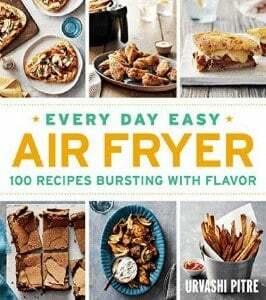 An air fryer has been on my list for a while along with an instant pot. 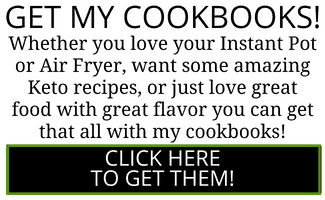 Your recipes are so inspiring that I will definitely have to dive in and buy them soon. 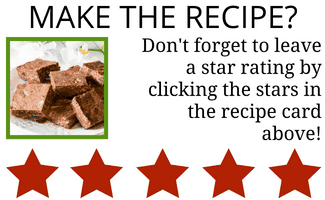 Thank you as always for sharing your recipes. 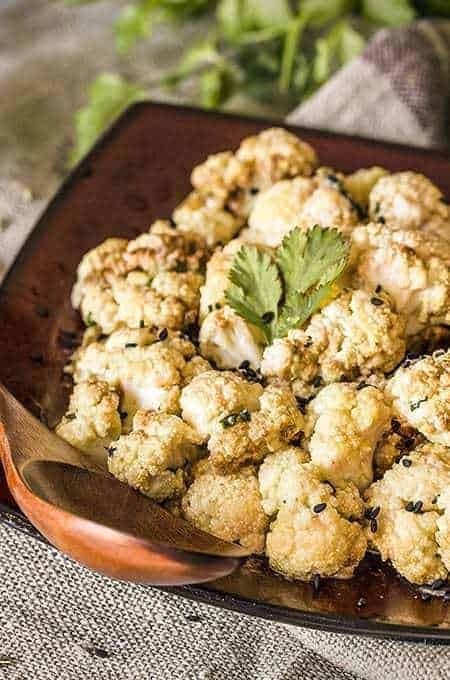 Hi Urvashi, I love roasted cauliflower but never have I had it with Tahini slathered on it – this sounds so delicious and I cannot wait to try this version! It was good to see you at the Mediavine conference – hopefully will talk the next time we meet.